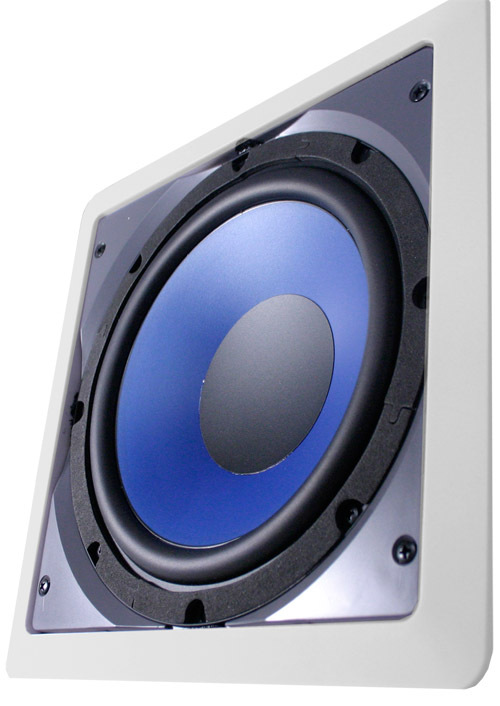 In-wall subs are a great way to experience low frequencies effects without filling up floor space. 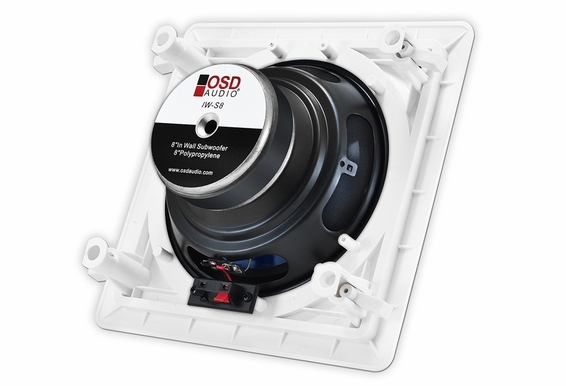 An excellent in-wall subwoofer at an excellent price, the OSD-IW-S8W is an 8" passive sub with power handling up to 150 Watts. Installation is easy with our dog-ear bracket system that mounts to the sheet-rock after the cut-out hole has been made. 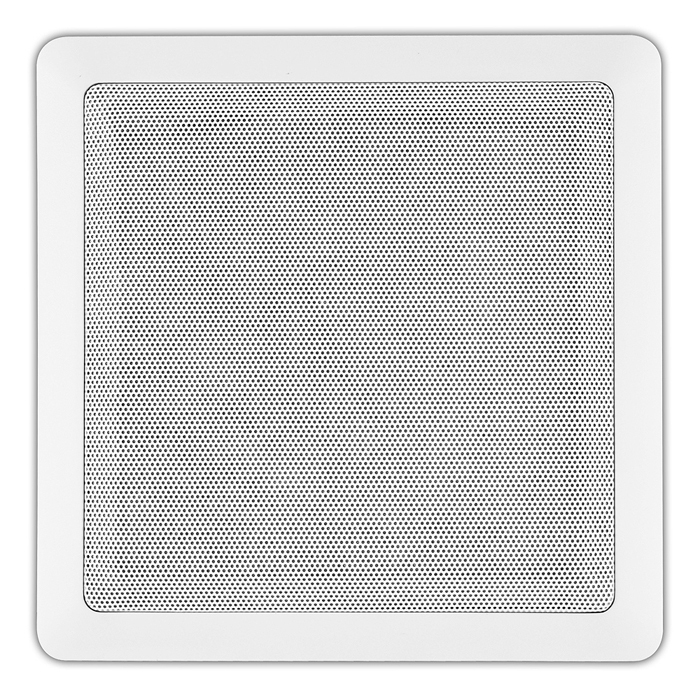 The grille is also paintable to match your room decor and we include a cutout template that doubles as a paint shield. 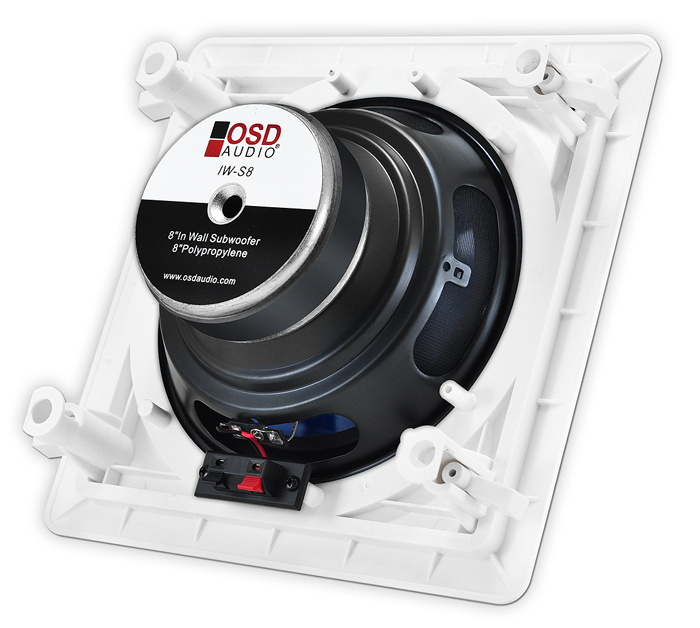 OSD Audio in-wall subs are passive devices, meaning they do not include a built-in amplifier like you would find in our active "box" subs. You will have to provide additional power, specifically a subwoofer amplifier, to drive it. 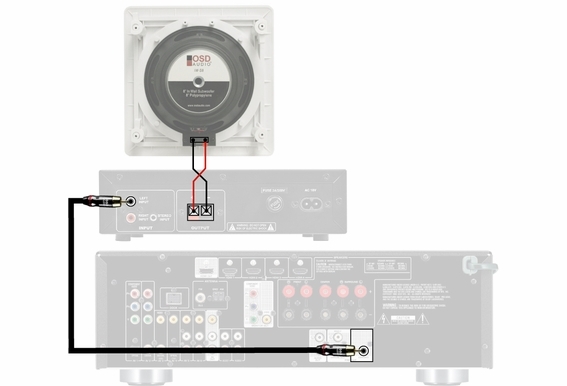 We recommend our OSD SMP250 dedicated subwoofer amplifier that features 150 watts (mono) and front panel controls, phase switch, frequency control knob (35 Hz to 180 Hz) and volume control.
. 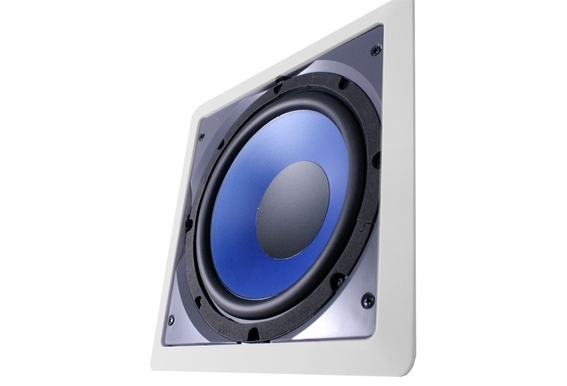 Mounting Depth: 3 5/8"
Inwall subwoofers are great for inwall/in-ceiling speaker installation jobs. 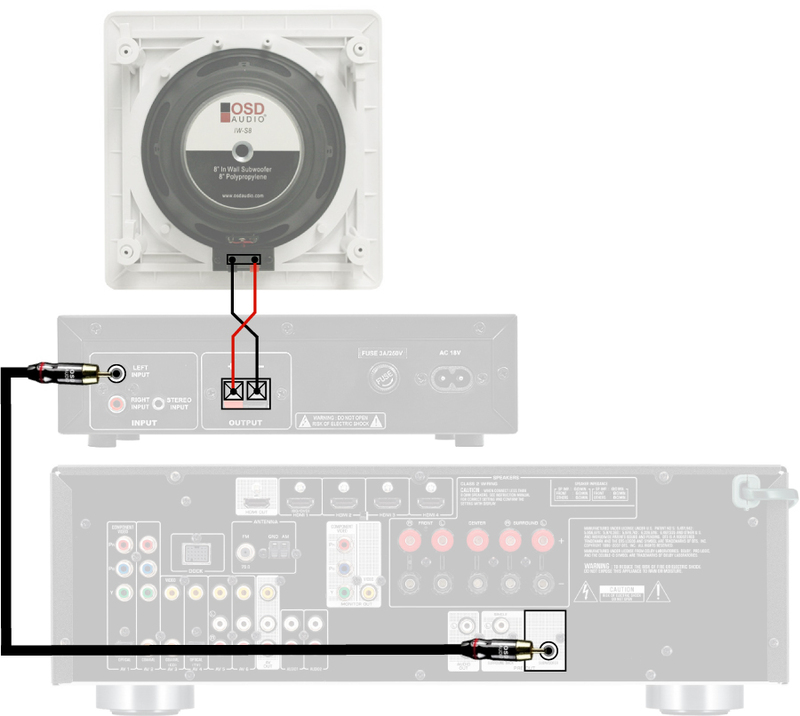 Does this connect to the front left and front right speaker jacks when using it as a 5.1 system? 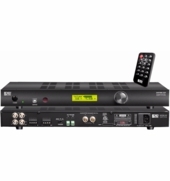 how many of these subs can i connect on to a OSD SMP250? 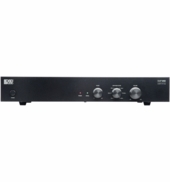 I have the smp60 and the 8" inwall sub from OSD. For some reason I can BARELY hear the sub, only if I put my ear up to it. I have the amp all the way up. Thoughts? Can this be mounted into the ceiling? is that advisable? 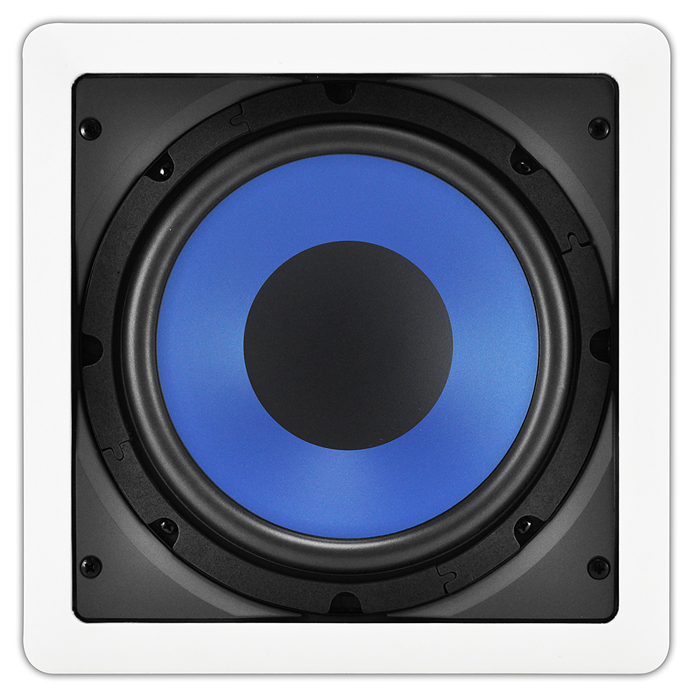 I bought this Sub with SMP60 Sub-woofer Amp and I am unable to get any good bass out of it. I was expecting to at least get a bit of kick out of it but I have nothing. I have tried all of the settings that I can think of and nothing seems to be helping. Do I need to build an in wall box to improve performance or is there something I can do to quickly improve the sound out of the sub?. 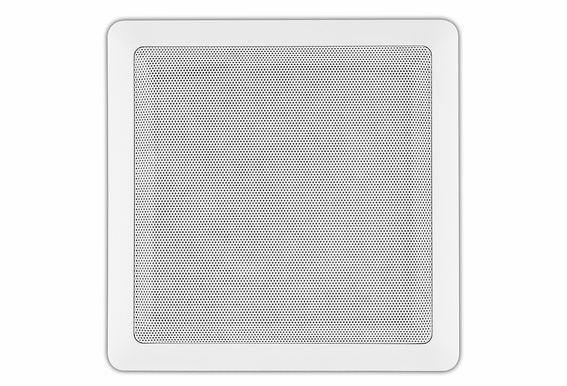 What volume speaker box would I need if I wanted to build a box and mount it within my wall. 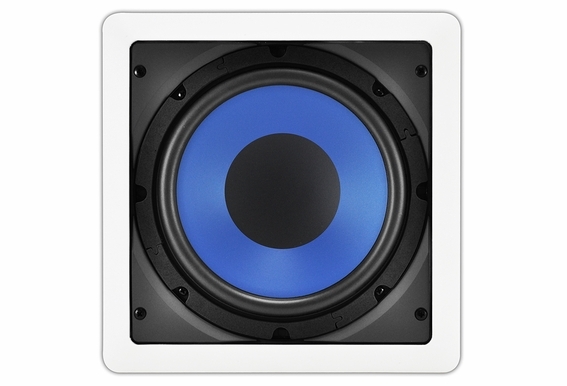 Or is it not recommended to box these speakers? 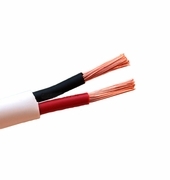 What type of wire do you run from the amp to the this sub?